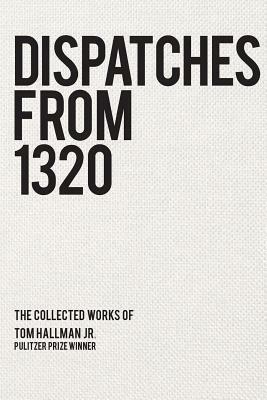 "Tom Hallman, Jr.'s narratives give a graceful voice to the universal struggles everyday people face. He isn't one of those celebrity journalists, looking at the world from afar. He writes from the news trenches and touches readers with beautifully written pieces daily. Tom Hallman, Jr. is required reading in the narrative writing courses here at Stonehill College-along with Truman Capote, Tom Wolfe, and Gay Talese. "-"Maureen Boyle, Journalism Program Director, Stonehill College"
Journalist Tom Hallman Jr. has won every prize for feature writing out there-and for good reason. Hallman's nonfiction narrative stories explore the significance of big moments and small, and celebrate the dramatic and mundane events that make up a life. In all of his work, Hallman seeks to engage readers' minds while eliciting sympathy for his subjects. In this collection of essays, Hallman treats readers to stories about what it means to move through the journey of life and reminds us how much we have in common with one another. Some stories focus on the dramatic: a cop held hostage, the neonatal intensive care unit. Others are about everyday heroes, such as the disabled man who so desperately wants to live independently, or the black school principal who uses his own experiences to help the students under his care. And then there are the funny stories, like the one about parents chaperoning their children's school dance. No matter the subject, Hallman writes with his mind and his heart and enables readers to see the world-and even themselves-in a new way. Tom Hallman Jr. is considered one of the nation's premier narrative writers. During his career, he has won every major feature-writing award, including a Pulitzer Prize. A common thread in all of Hallman's stories is the exploration of the character's heart and soul. Hallman was born and raised in Portland, Oregon. He graduated from Drake University in Des Moines, Iowa in 1977. He's worked at a car wash, a grocery store, a greyhound racetrack, and volunteered at a VA hospital. He was once an answer on "Jeopardy," the television quiz show. His first journalism job was in New York City as copy editor for Hearst Magazines Special Publications. He returned to Oregon as a reporter at "The Hermiston Herald," before landing a job at the "Tri-City Herald" in Kennewick, Washington. In 1980 he moved to "The Oregonian" where he covered crime for ten years. He is now a senior reporter specializing in storytelling. He is also a teacher, speaker and story consultant. He can be reached at www.tomhallman.com.